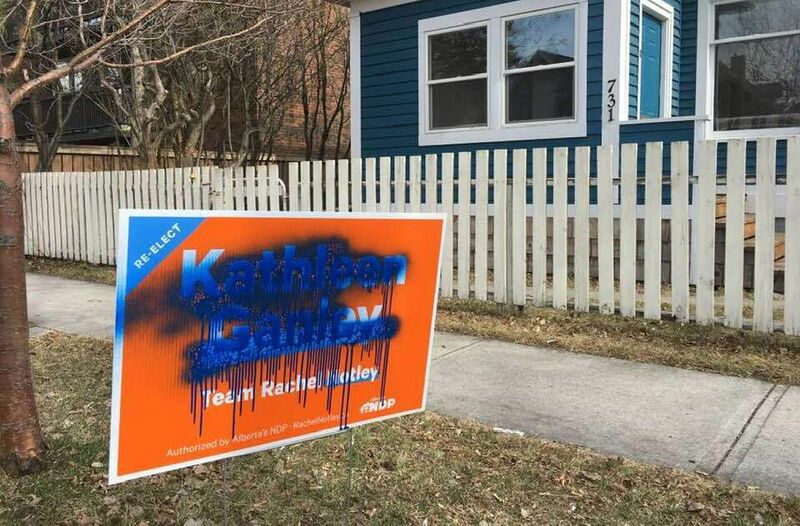 NDP volunteer Tamara Lee posted photos of sign vandalism to Twitter—then had her account suspended. 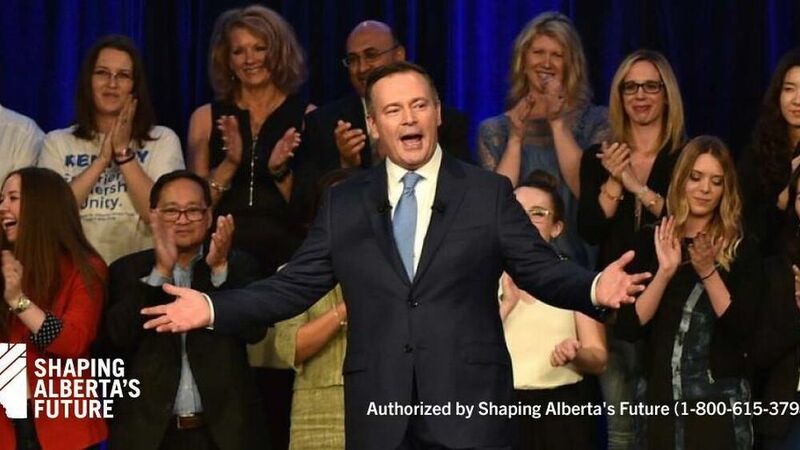 On the eve of the Alberta election, Twitter suspended numerous outspoken critics of the United Conservative Party (UCP) and its leader, Jason Kenney. An Alberta political journalist also had her account temporarily suspended by the U.S. social media company. In all, The Sprawl is aware of more than a dozen accounts that got suspended on Monday, including NDP and Alberta Party volunteers. Some users—including Edwin Mundt, Dave Beninger and Mimi Williams—have their names attached to their accounts. Others are anonymous yet still influential, such as @TheGentYYC and Handmaids for Kenney (@HandmaidAlberta), who routinely fact-check Kenney on the social media site. John Leung, a local cook who describes himself as a Red Tory, said he went to check Twitter at about 1:30 p.m. on Monday. "I find out that my account has been locked because of 'automated behaviour,'" he said. "I'm like—'okay, have I tweeted a lot lately?'" One report is not going to get Twitter to suspend us. It has to be a concerted effort of a lot of accounts. Initially, Leung and others who got suspended thought they were isolated cases. But by evening, it was clear that something was up. "I feel like this is a way to silence some of the more vocal non-UCP supporters," said Leung, who has expressed support on Twitter for NDP candidate Julia Hayter in Calgary-Edgemont, where he grew up. "This is a concerted way to silence us. Because one report is not going to get Twitter to suspend us. It has to be a concerted effort of a lot of accounts." Leung was able to verify his account and regained access by day's end. Others, like Mundt, remain locked out. "I still don't know what the offending post was," said Mundt, an outspoken voice for the centrist Alberta Party. "Twitter will look at my appeal, but I may not have an answer for three days." Tamara Lee, a volunteer on the campaign of Calgary NDP candidate Kathleen Ganley, was using Twitter on Monday when she got notice that she was suspended. In the days previous, she had been posting photos of herself and her family putting up signs for Ganley in the hotly-contested riding of Calgary-Mountain View. She and other volunteers have been working to replace vandalized and missing signs—a problem for multiple parties throughout the city. I feel like my voice is being silenced, and that feels awful. And now others are being silenced as well? That’s even worse. "I've been trolled a couple times," said Lee. "And before this election, I've never been trolled—ever." Initially she wondered if she'd inadvertently done something that broke Twitter's rules. "I'll call things out, but I don't swear on Twitter," said Lee. "I'm not mean." "It seems pretty stinky. A dozen people, all of whom are outspoken and progressive. I mean, really? The day before an election? I don't know how they did it, but it seems like it's a bit of a coordinated attack." Complaints made to Twitter can lead to a user being suspended. "We may suspend an account if it has been reported to us as violating our rules surrounding abuse," says the website. However, Twitter says the bulk of suspensions are not about abuse. "Most of the accounts we suspend are suspended because they are spammy, or just plain fake, and they introduce security risks for Twitter and all of our users," states the company's site. Cam Gordon of Twitter Canada would not comment on the mass suspensions and why they occurred all at once on the day before an election. "We don't comment on the activity or status of individual accounts or individual Tweets as a matter of privacy for users," Gordon said in an email to The Sprawl. 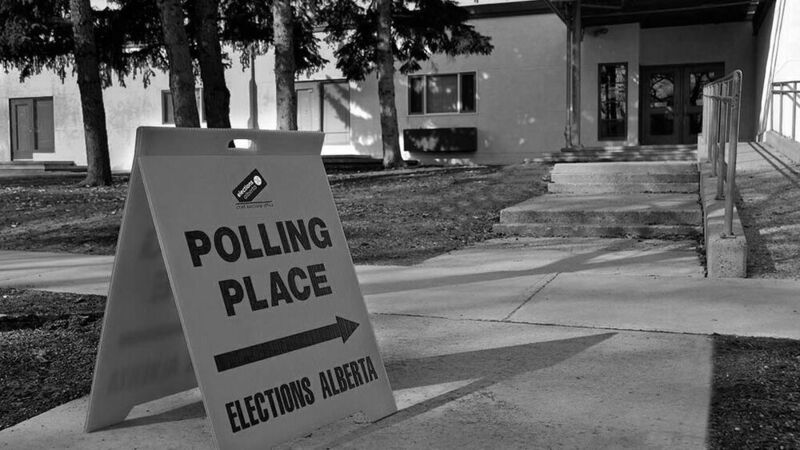 This story is part of The Sprawl's Alberta Election Edition. The Sprawl is crowdfunded, ad-free and made in Calgary. Become a Sprawl member today and support independent, ad-free Calgary journalism!